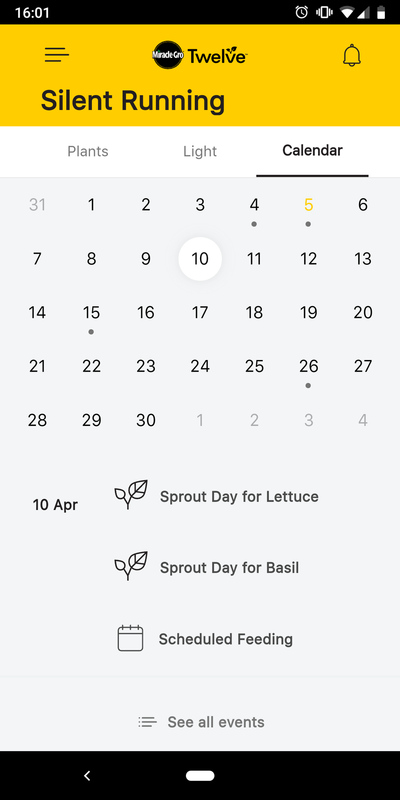 A few months ago, a friend sent me a link to the Miracle-grow hydroponic Twelve system on Indiegogo, and I sort of just backed it without really thinking about or actually reading much about it. I’m an easy sell when it comes to plants and gadgets. Well, I forgot about it and this week a giant box magically appeared on my doorstep. I honestly didn’t notice that it was a “smart” system with the obligatory phone app for control and monitoring until I unpacked it. I bought some seeds and planted it up and this is what I’ve noticed. As I was setting it up, it asked me to choose a name for it so I dubbed it “Silent Running” (after the movie, for obvious reasons) and instantly realised what an ironic name that was going to be. The press photos for the system have it staged in lovely, modern homes - happily growing plants in fantastically clean mid-century modern spaces. This suits my aesthetic, so I dutifully staged it in my home. After approximately half a day, it had to be relocated because it was so extremely annoying. It sounds like exactly what it is - a water-pumping motor with a fountain running 24/7. It’s also as bright as the sun which is useful but not exactly great for mood-lighting. My system now lives in the garage, which makes everyone who visits ask if I’m growing pot. I think it’s quite handsome. It’s inoffensive and it’ll look rad when it has some plants actually growing in it. Your tastes may vary. It’s definitely sturdy and a good height for an end table. That’s it. 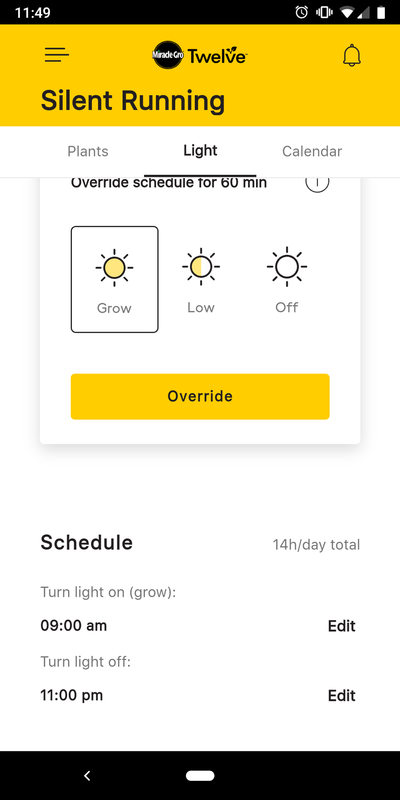 And it’s all in an app dedicated to this one, specific, Miracle-gro system - you can add multiple Twelve tables - which seems really daft and irritating if you happen to already have (or acquire) one of their tabletop Aerogarden smart systems. It would have been a better user experience, and product marketing, had they made a single app (or webapp!) to manage all of their systems in one. It all connects over bluetooth and you can’t edit anything while you’re not connected directly to the system over the bluetooth. There’s also a weird mismatch between their paper literature and the app. The marketing materials list a lot of plants and herbs that aren’t actually available to select during setup in the app. A small, but weird discrepancy that led to me buying Petunias for one slot (listed in the paper manual as recommended) but then having to create a “custom” plant in the application. Not a bad system and it’s nice that it doubles as furniture. You won’t actually want it in your actual house, unless you like the sound of running water or are trying to drown out a more irritating noise, but I’m looking forward to hopefully having some tasty herbs and flowers on-hand soon.